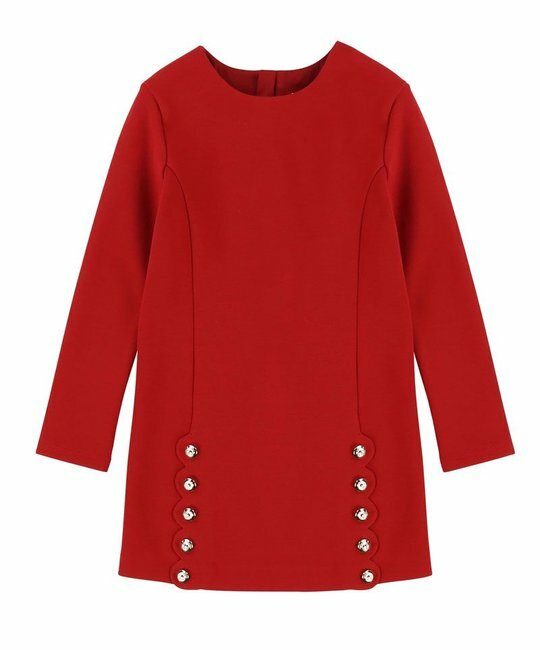 Chloé soft cotton red Milano dress with iconic scallop cut detailing and brand engraved buttons. 41% Cotton, 41% Modal, 10% Elastan, 8% Polyamide. Imported.